Product prices and availability are accurate as of 2019-04-19 08:32:46 UTC and are subject to change. Any price and availability information displayed on http://www.amazon.com/ at the time of purchase will apply to the purchase of this product. Step 1:Using it when your hair is between dry and wet. After shower, dry your hair with towel until there are no water drop. Step 2:Open the hair curlers, roll the hair you want and close it. Step 3:Then keep it 30 minutes to 1 hours, it will give you great memory hair wave. Step 4:If you use the hair dryer, it will be done sooner! When you use the hair drier, please make sure the hair care rollers keep at least 4" away from the blowing mouth. 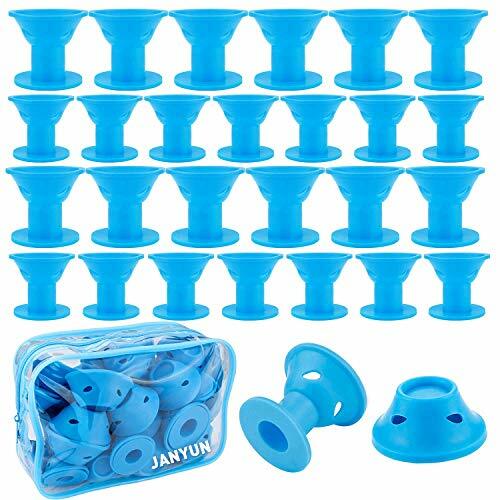 Package: 20 pcs large hair curlers and 20 pcs small hair curlers, color: blue as shown in the pics. 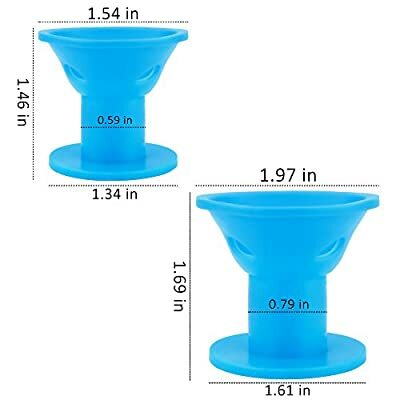 Approximate size for large is 1.9" * 0.9", small is 1.6" * 0.8". It looks like really cute, and using convenient. The principle of the curler is to fix the shape by curling the hair in a certain period of time so as to obtain temporary curls. So, when you have a lot of hair, please use it every time, reduce the amount of hair involved, so as to achieve better results. If your hair is hard, it is recommended that you add curly agents under the guidance of barbers. Otherwise your test may fail because hard hair is too difficult to deform and curl up. Package: 20 pack large size hair curlers and 20 pack small size hair curlers, color: blue as shown in the pictures.The material is high quality medical-grade soft silicone, hypoallergenic, odorless and non-slip. Since the hair care rollers are made of high quality soft silicone, no hurt for your healthy hair, no pins, clips, electricity or heat required, this hair care rollers can grasp you hair tightly, and cover your hair totally, to create beautiful natural beach wave styles. 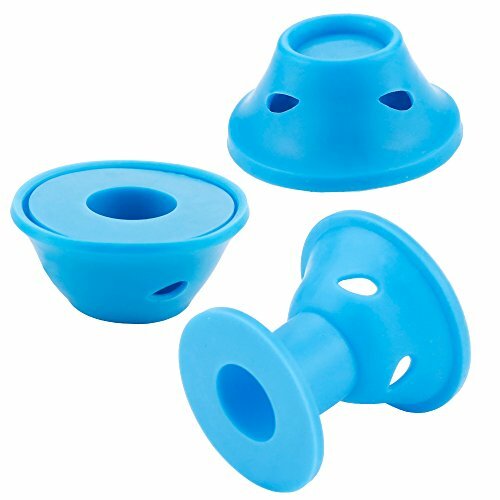 It is washable and light weight, very easy to clean and store, can be reused for many time, so practical and economical.It is very comfortable for using and can keep the curling style for a long time. Suitable for any types and textures hair. If you feel dissatisfied after the receipt of the goods, please contact us in time and we will help you to solve it perfectly.